In most cases, the disruption of lacrimal outflow is caused by narrowing or blocking of the lacrimal outflow channels. It results in continuously watering eyes of the child. Epiphora – is the discharge of lacrimal fluid to the surface of the eyelid. More often, epiphora is the result of excessive formation of the lacrimal fluid and disturbance of its discharge. In a normal state, the lacrimal fluid washes the eyeball preventing it from drying up and protecting it against small foreign bodies and microbes. There may be different causes of epiphora. About 10 % of infants suffer from watering eyes due to dacryostenosos — a mucous occlusion which is not dissipated after birth. This mucous block is a barrier to normal drainage of the lacrimal fluid from the conjunctive cavity since it closes the lower end of the lacrimal channel leading to the nose. This results in purulent inflammation in the lacrimal sac and dacryocystitis. Spasm of the lacrimal points and ducts, oedema of the lacrimal outlet channels which occurs as a result of a changing air temperature. This may be temporary of permanent. In most cases, this disorder does not lead to clearly defined epiphora and production of purulence. Medical treatment of thedisorder in lacrimal drainage requires can be decided during a consultation with an ophthalmologist. It is highly recommended not to experiment and attempt conducting treatment at home. Bear in mind that the health of your child’s eyes depends on your actions. 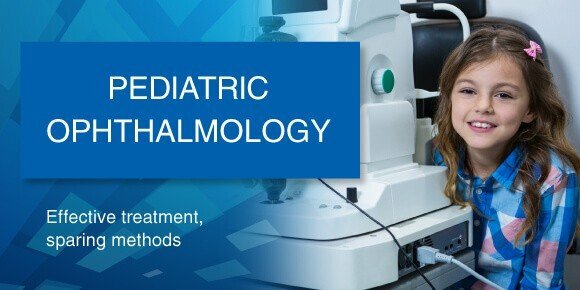 Only highly qualified specialists are able to prescribe treatment depending on the causes and degree of the disorder, the age of the child, and the child’s personal features. The treatment of lacrimal outflow disorder includes antibacterial and medication therapy, irrigation of lacrimal ducts, and massage of the lacrimal sac.